When we install ponds for our customers, we build them deep enough and with shelving which deters raccoons, because they don't like to swim. This is one of the most important preventative things you can do to keep the predators out, so if you are thinking of building a pond, definitely consider adding shelving! Here are some tips for keeping your fish safe and happy. 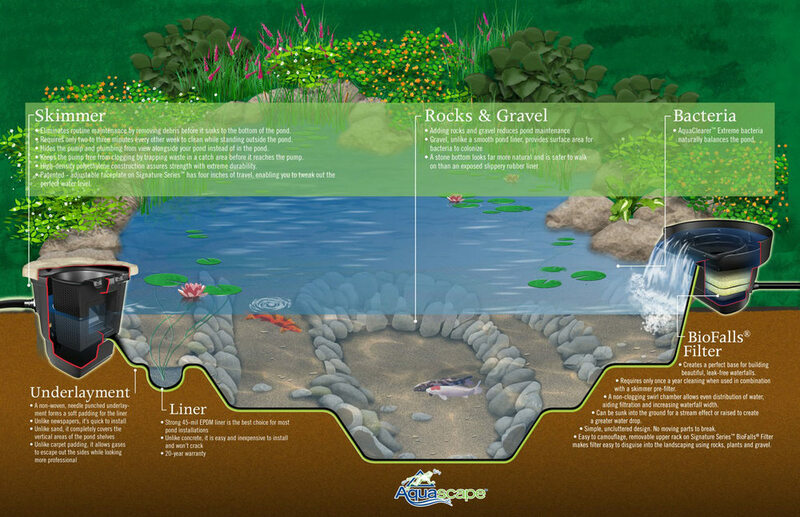 Fish Caves - Create a place for fish to hide in your pond by taking a bucket (on its side) or a drainpipe and placing it on the floor of the pond. Camouflage the bucket or pipe with flagstone or rocks so it isn't noticeable. This will provide a place for the fish to hide when a predator comes to visit. ScareCrow - The ScareCrow is a motion-activated sprinkler that sprays 3-second bursts of water at the hungry predator. This is a highly effective method many people use to keep their fish safe. Floating Alligator Decoy - The Alligator is many pond owner's favorite predator control because not only does it effectively scare off the herons, it also adds a fun and interesting decorative aspect to your feature. Its body is hinged, allowing it to move around naturally. The Alligator doesn't scare off the raccoons, but the herons instinctively fear it! Pond Netting - This is generally used as a last resort, because pond netting can be somewhat unsightly. However, it is very effective at not only keeping predators out, but also keeping leaves and debris out of the pond. It's also a great option if you are leaving for vacation and will not be able to clean out the Skimmer on a weekly basis. Older PostPond Stars: New TV Show for Water Garden Enthusiasts!